(사)한국해외봉사단원연합회(Korea Overseas Volunteers Association)는 1992년 창립된 단체로 외교통상부 소속 해외무상원조 기관인 한국국제협력단(KOICA)을 통해 해외봉사를 다녀온 봉사단원들이 공익활동을 위해 설립한 외교부 산하 비영리 사단법인입니다. 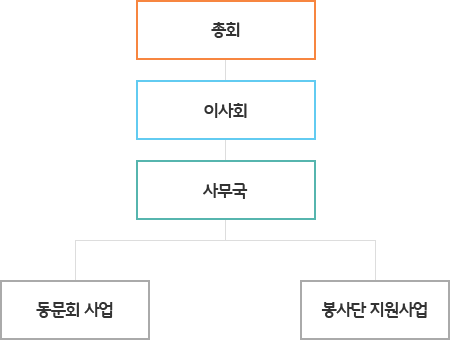 한국해외봉사단원(외교통상부산하 KOICA 파견) 활동 경험을 바탕으로 우리사회에 올바른 봉사활동 문화와 제3세계에 대한 이해를 확산시켰습니다. 이를 발판으로 하여 도움이 필요한 소외계층 및 공익 활동을 지원하고자 합니다. 해외봉사활동의 경험을 살려 국내 체류 이주노동자와 다문화 가정 등에 대한 언어, 교육, 문화, 생활 지원을 바탕으로 다문화 열린사회로의 지평을 확대함에 기여합니다. 국내외에서 봉사활동에 직접 참여하여 봉사정신의 함양 및 사회의 조화로운 발전에 기여합니다. 한국해외봉사단원연합회 로마자(영문)의 약자인 ‘KOVA' 를 이용해 구성했으며, 둥근 형태는 지구를 상징하기도 한다. ’K'와 'A'가 따뜻한 인류애와 봉사의 열정을 형상화한 ‘V'자를 감싸는 형태로 우리 단체의 정신인 나눔과 섬김을 상징하며, 심벌마크의 파란색과 녹색은 봉사가 주는 밝은 희망과 기쁨을 각각 나타내고 있다. 국/내외 해외봉사활동사업 촉진 및 관련분야 세미나, 다문화등에 많은 관심이 있으신분들로 구성됩니다. 매년 3월 대의원 모집공고를 통해 선출되오니 회원분들의 관심 부탁드립니다. 임원/대의원들의 활동이 곧 KOVA의 미래와 방향성을 제시해주는 지표가 됩니다. 이사회에 참석하여 법인업무의 관한 사항을 의결합니다. 법인 재산을 감독하며 운영 및 업무사항을 조사하여 문제를 제시하고 시정요구를 합니다. 이사장, 감사 선출, 정관 변경, 예산 및 결산, 사업계획안의 승인, 각종 규정의 제정, 변경, 사무국장 및 지부이사의 인준, 기타 이사회가 요청하는 중요한 사항을 의결합니다. KOVA was established in 1992 by the members who have been participated in voluntary acts through the KOICA. Through the experiences of KOV, KOVA want to expend understanding about the 3rd world and volunteerism. KOVA was formed for the global village estrangement class where the help is necessary and a common good social activity. 1st, Volunteerism cultivation, ability reinforcement as a regional experts and to support KOV activities advertisement. 2nd, Domestic and overseas volunteer activities participation, contributes to build a multi-cultural open society especially for the migrant workers and the mixed-race marriage families to support language, education, lives in Korea. 3rd, The developing countries encouragement of learning enterprise leads and deepens international good-fellowship and contributes world peace with the connection of various nations civic society. Through the national public information of KOV activities to raise a people' support and to support for KOV recruitment. - International cooperation understanding course in School. For the return of more then 2 years KOV activity experiences which language, culture and regional expert to society. - Special language support through the MOU contract with the civil enterprises and the government offices. - Multi-cultural understanding course in School. Helps the studies of the developing country students and then through the short-term service dispatch to distribute a regional development and informs a Korean culture. - Medical treatment support for the poor in less developed countries.